I was recommended this place by an Instagram follower and I’ve actually been here twice in that time! 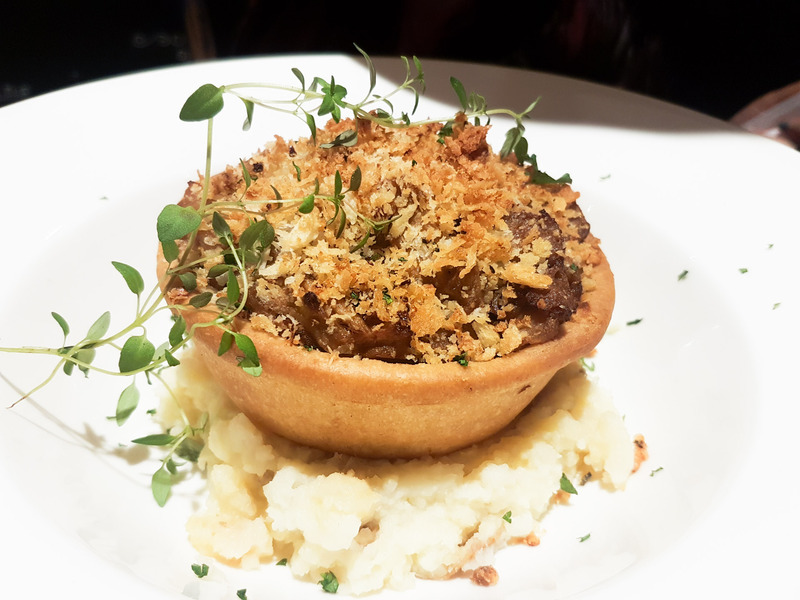 On the first visit, I got a rib eye steak and a chicken and mushroom pie, both were good, in particular, the chicken and mushroom pie was brilliant, but I am going to about something I saw when I was there…. 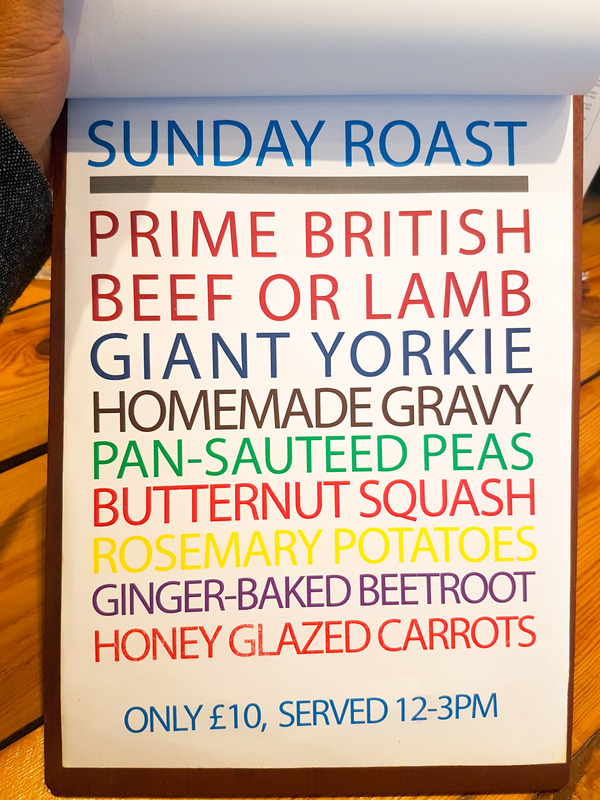 A Sunday Roast for £10! 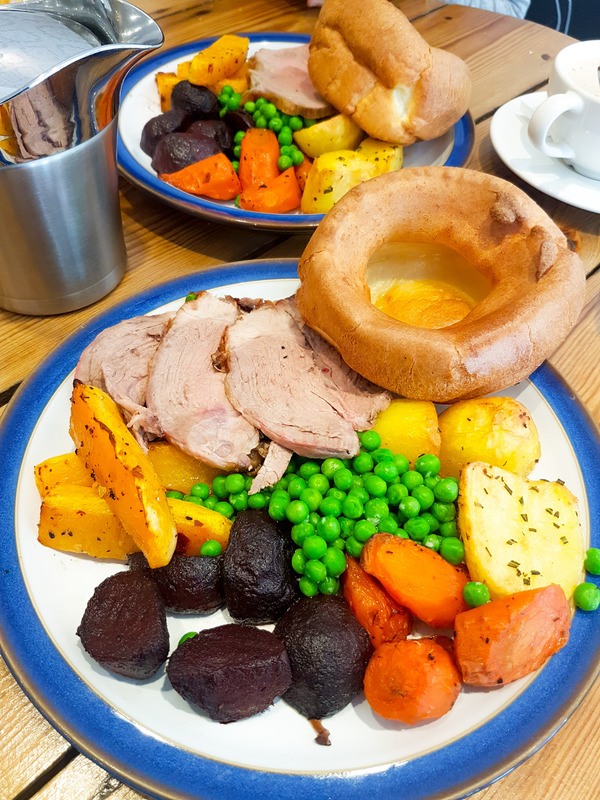 Beef or Lamb, with Giant Yorkshire pudding, rosemary roast potatoes, honey glazed carrots, roasted butternut squash and ginger basked beetroot with homemade beef gravy. The accompanying vegetables were very good, the unusual usage of British vegetables like beetroot actually combined really really well with classics like roast potatoes. 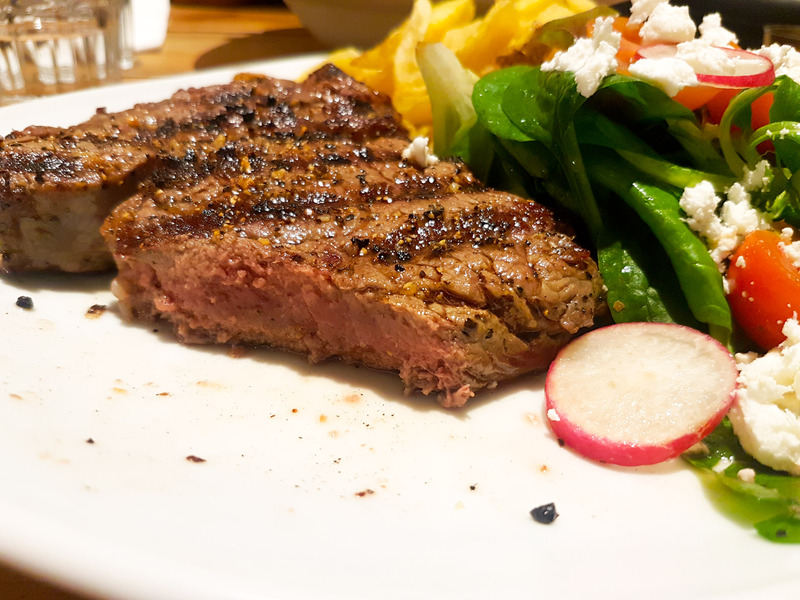 The beef and lamb both were cooked to a medium with a little pinkness and lightly seasoned. The Beef Gravy really went well with the dish and was welcomed. Amazing value at only £10 and worth checking out. 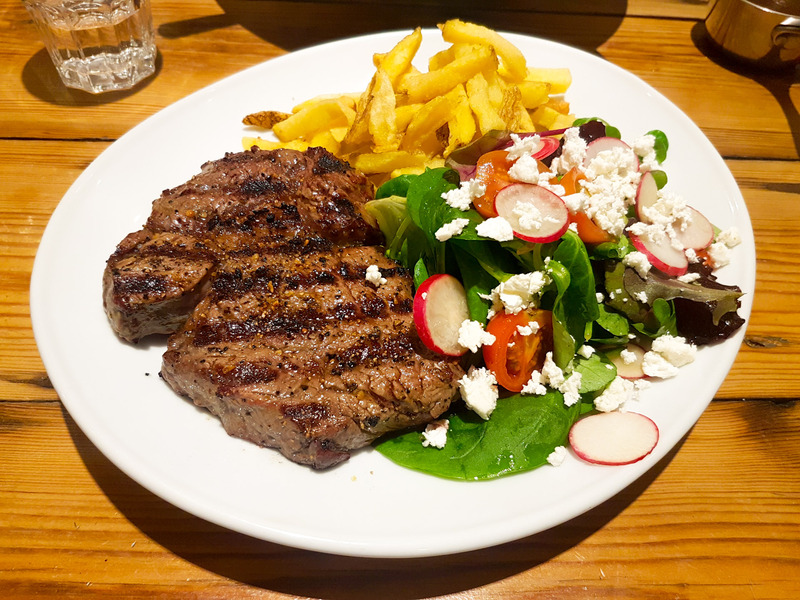 I got a beef and lamb and both were rather similar.The Sunday Roast is available ONLY on SUNDAY between 12 and 3 pm only and I recommend you make a reservation as its very popular and the place gets busy with large groups. 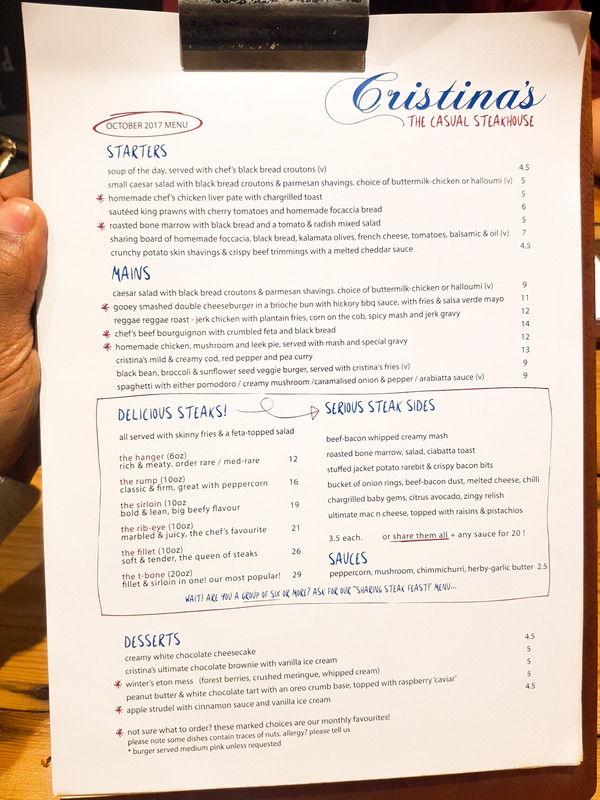 Hey Buddy!, I found this information for you: "Cristina’s". Here is the website link: http://halalfoodguy.co.uk/cristinas/. Thank you.